Pediatric Gastroenterology of Central Florida, located in downtown Orlando, is a children’s center that specializes in the diagnosis, treatment and management of complex diseases involving the gastrointestinal tract, liver and pancreas. It also provides expertise in childhood nutritional problems, feeding difficulties and weight disorders. The center is located in downtown Orlando, right next to Advent Health (previously Florida Hospital) and Orlando Science Center. For directions to this location, please visit the Contact + Location page. 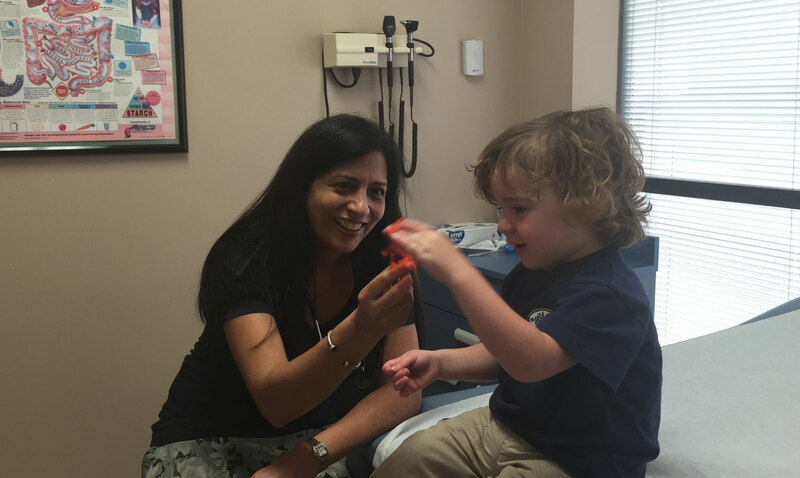 Sangeeta Bhargava MD is a well trained and board certified gastroenterologist for children with years of expertise in this field, practicing in the Orlando area since 1997. She has been on Orlando Magazine's 'Best Doctors' List since 2009 and has been awarded the Top Doctor in Pediatric Gastroenterology for several years (2014-2018). Dr. Bhargava strongly believes in patient education, which you can see in this short clip of her appearance on TV.